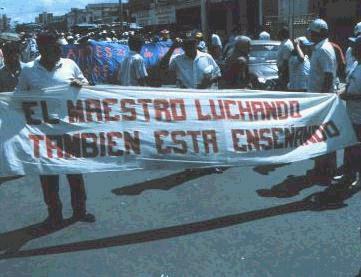 A banner during a march in the teachers' strike in 1992. 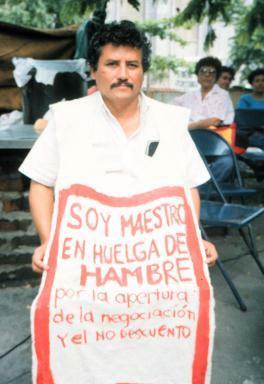 It says, " the teacher who is fighting is also teaching". 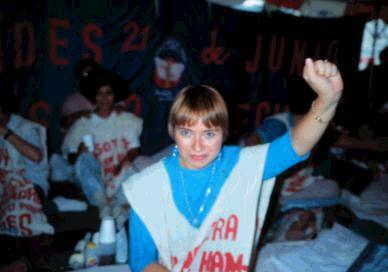 Members of the executive counsel of ANDES on hunger strike in 1992. right, Julio C. Portillo, president; left, Dina. 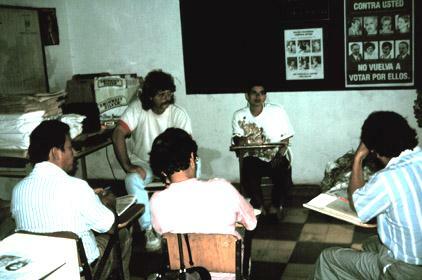 An organizing meeting in Santa Tecla. That's me in the back. 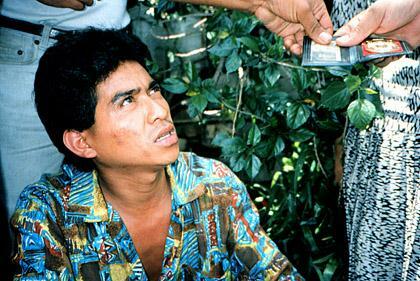 This Military Intelligence officer was caught trying to infiltrate strike HQ, and held prisoner for several hours. 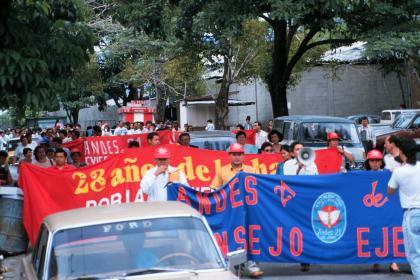 The front of the procession marches through a residential area. 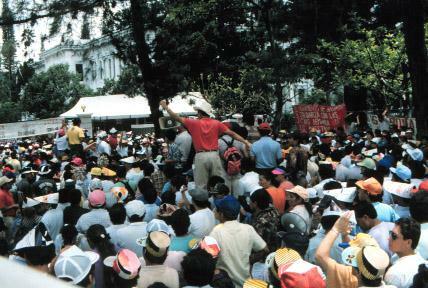 Demonstrating at the gates of the presidential palace. 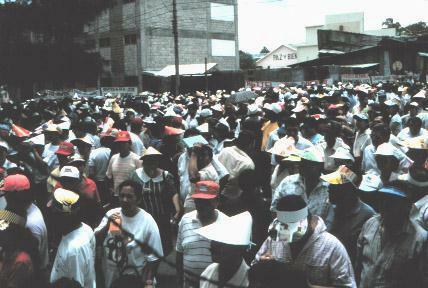 Marchers fill the street during the strike.